Scared Dog. Jumpy. Nervous. Walks are a Nightmare for Her. Belle was found with her siblings, at just a few weeks old, by the roadside. From the beginning,, in her loving home, the Whippet mix was a scared and nervous puppy – in total contrast to their two Labradors. 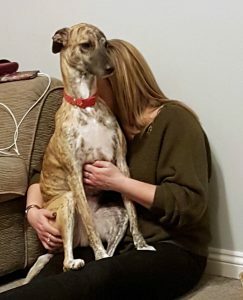 When someone comes into the house the scared dog will leap onto the lady’s lap for reassurance. Belle is now three years old and the behaviours her fear generates are hard for her family to deal with. She is extremely jumpy and scared of many everyday household things. It’s easy to get cross with too much barking when one seems powerless to stop it. Antisocial With Dogs. Insufficient Early Habituation and Socialisation. His young lady owner refers to him as antisocial – towards other dogs in particular. Gunther is yet another young dog that has lacked the right kind of early socialisation or sufficient habituation. 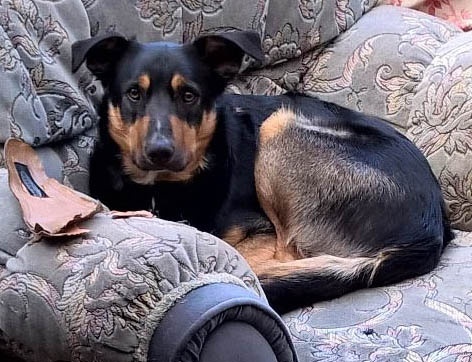 He should have encountered a variety of people, other dogs and been exposed to life in general during the second, third and fourth months of his life – before he came. It’s little wonder he’s antisocial at times. The problems they want to resolve are for Shadow to stop nipping them and to stop barking at other dogs. Both issues are really just symptoms. The nipping is a symptom of over-excitement. 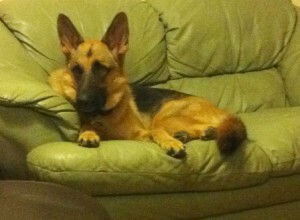 The beautiful German Shepherd is nearly seven months old and still really just a puppy. She is already big. She jumped up at me and mouthed. The excitement of my arrival triggered more behaviour. When the man sat down she flew all over him, climbing onto the back of the sofa rather like a cat! As a younger puppy, the lady and the two boys took Shadow to excellent training classes for several weeks. She knows all the basics. Understanding the request or cue (I don’t like the word ‘command’) and actually doing it are two different things though. That’s where motivating her comes in. In the picture she has been asked to lie down – something she knows well. I suggested not repeating the word ‘Down’ but just waiting. The lady points at the floor. Just see Shadow ignoring her! The lady outlasted her and after about a minute the dog did lie down. She then rewarded her with something tiny and special. The lady then tried again, and sufficiently motivated this time, Shadow lay down straight away. This isn’t bribery or luring because the payment wasn’t produced until after she had done as asked. As the day wears on Shadow becomes more hyper. She has two walks a day and plenty of exercise but even that can backfire. Walks should be just that – walks. Walking and sniffing and doing dog things, not an hour or so of ball play after which she arrives home more excited than when she left. It’s then that she may charge all over the sofas and anyone that happens to be sitting on them – nipping or mouthing the younger boy by in particular – he’s twelve. He may simply be watching TV and ignoring her. She stares at him. If he continues not to react, she will start yipping. Then she will suddenly pounce on him and start nipping him. She now has the attentions she craves. He often behaves like an excited puppy with her, so understandably that’s how she regards him. If they don’t want to be jumped up at, mouthed and nipped, the family needs to sacrifice some of the things they like doing and help teach her some self-control. They need to tone down they ways they interact with her and exercise her brain a bit more. Shadow is another dog generating its own attention and we will deal with it in a similar way to the last dog I visited, Benji. Barking at other dogs is a symptom also. In Shadow’s case it’s a symptom of fear, following a very unfortunate incident at exactly the wrong time in her life. It will have coincided with a fear period when, like a human baby may suddenly start to cry when picked up by a stranger, the puppy can become fearful of things. When Shadow was a young puppy, a much larger dog broke through the fence and chased her round her garden. This happened twice. She was terrified. The garden was no longer a safe place for her. She now increasingly barks at dogs she hears from her garden and there are dogs living all round them. She barks at other dogs on walks – particularly on days when she’s already stirred up. To add to the problem, the next door neighbour got a new puppy recently. Shadow rushes out of the house barking now. If he’s out, she runs up and down the fence barking at him. She is in danger of having the same effect on the poor puppy as the invading dog had on her. They will only let her out on lead now – the one and only good use for a flexilead. As soon as she barks they will thank her and call her in – maybe encouraging her with the lead. They will reward her as she steps through the door. All the surrounding dogs can actually be used to Shadow’s advantage. They can work on her fear of other dogs at home. This should help how she feels about other dogs out on walks. They can have ‘dogs mean food’ sessions in the garden. When she’s in a calm mood, they can pop her lead on and go out into the garden with her for a few minutes. Every time a dog barks they can sprinkle food on the ground. Fortunately Shadow is very food orientated. She also loves a ball so they could throw that sometimes too. Even if she alerts and they themselves hear nothing, her much better ears may have heard a distant dog – so they should drop food. When next door’s puppy is out in the garden they will work hard, with food and fun, so that she will eventually come to welcome his presence. It would be nice to think the puppy’s owner could be doing the same thing the other side of the fence. If Shadow barks, she will be brought straight in. She will learn that if she’s out there and quiet good things happen. If she does bark at the puppy, she will come straight in and the fun stops. Shadow has grown up quickly into a big dog. They were able to accept nipping, mouthing, jumping up and barking at other dogs from their puppy. These things are becoming a problem for them now that she’s an adult-size German Shepherd. We are doing short daily training with Shadow both inside and outside, going well. She is barking less out in the garden. She doesn’t pull towards other people or bikes when out walking as much so going in the right direction. We are playing with her when she is good so please with this. Walking to heel so much better and barking less to dogs outside. The chance dog to dog encounter was simply at the wrong time and in the wrong place. This has set off a chain reaction leading to Paz now barking at other dogs she sees and her anxious owner’s walks ruined. A single dog to dog encounter can be the start of something big. I have seen a young man walking his gorgeous large dog of mixed breed around my village for a couple of years now. I have always thought how happy the dog looks and how nice the man is with her. Too often I’m tempted to stop and tell people what I think about their forcing their spaniels that would rather potter and sniff, to run beside bikes. Or to tell the owners of a poor dog trying to scarpe off his Halti on the path about Perfect Fit harnesses. Or to show someone jerking the lead how easy it is to get a dog to walk on a loose leash. I have also wanted to stop this gentleman to say how I enjoy seeing him walking his lovely dog around my village. Paz and her gentleman wander. She’s allowed to sniff. She wears a comfortable harness. I have seen them at all different times of day and evening. I thought that the man must spend all his time walking her. The fact is, he works shifts and still manages to walk her three times a day. The young man found Paz in a bin six years ago. She was about one day old. He hand-reared her. He has done miracles with her, somehow avoiding the pitfalls of hand-reared puppies that haven’t had the interaction with mother or siblings. A couple of years ago they came over here from Italy. Paz adapted well to the change. She really has had no problems until something that was triggered a couple of weeks ago. In a narrow alleyway, two small dogs suddenly came out of a gate and Paz pounced on them, seemingly aggressively. This is a classic example of ‘trigger stacking‘ where a sequence of events builds up stress in the dog. Stress ‘loads the gun’. One occurrence too many can then be the final straw. These two dogs were the final straw for Paz. She will undoubtedly have been less relaxed than usual. Her gentleman was away for a while which will have been unusual. He had arranged for another person to walk her which hadn’t happened before. The previous day these same two little dogs had barked at Paz but she hadn’t taken any notice. This day, however, as they came out of the gate Paz lunged at them. No doubt the inexperienced dog walker will have reacted in a harsh way, something the young man would never have done. Maybe it was his human reaction that triggered the final bullet, so to speak. A single unfortunate dog to dog encounter in the wrong place at the wrong time that’s caused fallout. Now Paz is alert and ready to bark at other dogs she meets. The poor man is very unhappy. For Paz’ sake he is now avoiding dogs wherever possible. I feel sad for him. His own tension will certainly be transferring to Paz and making things worse. They must be very close. We have a couple of Boxers near to my house that are left in the garden. When someone walks past they get so angry they then start fighting one another. Many local dogs have been ‘contaminated’ by them, now being wary of dogs they pass. Paz, however, would walk past and ignore them but not any longer. Paz no longer feels safe. From this single badly-timed dog to dog encounter her life has changed. Fortunately it’s not gone on for long enough to become ingrained. Instead of simply avoiding all dogs now, the man will be watching and reading her. He will give her the space she needs, but only if she needs it. Seeing other dogs at a comfortable distance he will pair with food – she will do anything for food! He will be happy and upbeat when they see a dog approaching and hopefully this little nightmare will soon end. Paz will be back to her old self. The person walking her at the time of her dog to dog encounter very likely reacted in a way that scared her more than the encounter itself. Paz’ gentleman needs to keep reassuring her that he will keep her safe – just as he always has done. If it turns out to be not that simple to reverse the situation, I will go out with them and we can work on it in more depth. From being found in a bin, hand-reared and walking happily around other dogs for six years, one unfortunate dog to dog encounter can’t be allowed to cast this shadow on their lives. When I go to a family who simply want to bring their puppies up right with my Puppy Parenting programme, I feel truly blessed in my job. 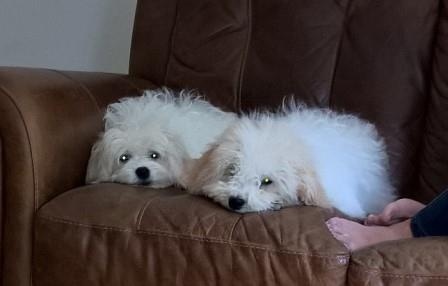 Four month old brothers Ronnie and Teddy are a delightful mix of Bichon Frise and Cavalier King Charles Spaniel (Cavachon). The only problem that impacts on their family at the moment is that the puppies haven’t learnt that outside is the place to toilet. Their chosen place to wee is inside the back door and their chosen place to poo is by the front door. The gentleman made the mistake of telling them off for doing it by the front door so they now do it on the carpet at the bottom of the stairs – perhaps, if they understood anything about it at all, thinking the scolding was about the location, not the act. What is lacking is sufficient teaching of where they should be going. They aren’t using rewards. If the back door is open it is assumed the dogs will take themselves out. There are things to consider like why, after being accompanied out into the garden, they come straight back in and toilet indoors. When examined there are three very likely reasons. One is that they simply have learnt to go indoors. Another is that they are not rewarded going outside. If the grass is where they should go, then immediately they have been a food reward should be given on the grass. Another possibility is that the puppies will love being outside with their humans so if the job, once completed, results in their humans immediately going straight back indoors, fun finished, then isn’t this another reason for not toileting outside? I’m sure a couple of weeks of hard work from the whole family will conquer the house training problem, as they take them out very regularly and cut down the puppies’ territory to the kitchen only unless carefully watched. There are the seeds of a couple of future problems which should be addressed straight away. The puppies are starting to play a little too roughly resulting in recent minor injuries. As the siblings grow older we don’t want them to fight, so rough play needs to be discouraged right now. Little Teddy is already reactive and barking at other dogs on walks, so this needs working on so that he is happy to see another dog and not fearful. Next time I go, as part of the ‘Puppy Parenting’ programme, we will be looking at more puppy training and teaching them to do a few more useful things, using either luring or clicker training or a mix of both – and rewards of course. NB. The precise protocols to best use for your own puppy may be different to the approach I have worked out for Ronnie and Teddy, which is why I don’t go into exact details here of our plan. Finding instructions on the internet that are not tailored to your own puppies can do more harm than good. One size does not fit all. If you live in my own area I would be very pleased to help with parenting strategies specific to your own puppy (see my Get Help page). After a run of German Shepherds I have been to recently who barked frantically when they heard me at the door and continued to bark at me when I entered the house, I was really surprised to ring the doorbell and to hear nothing. 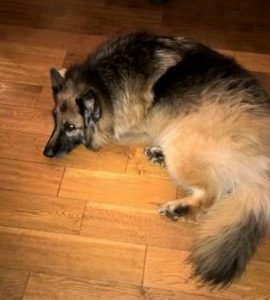 Tia, a very youthful nine-year-old, stood calm and friendly beside the lady as she opened the door, and followed us into the sitting room. I knew already that the lady would be telling me her problem was her dog’s behaviour when out of the house and on lead, but I wanted to take a holistic approach and get some knowledge of Tia against the background of home life before exploring what was happening outside, why it was happening and what we could do about it. Tia is the lady’s first dog, and she got her when looking for a puppy some six years ago. Tia was the mother dog and the breeder more or less said she ran a business and Tia was merely a puppy-making machine to her and now expendable. So the lady took her home. The bond between the two is incredibly close and the lady describes herself as devoted to her. It is just the two of them. I noticed how the dog spent much of the time gazing at the lady, or asking her to do something like fuss her or throw a ball – and she was never disappointed. There are all sorts of human emotions here that the dog will be picking up including adoration and also some guilt that she can never do quite enough for her beloved dog. 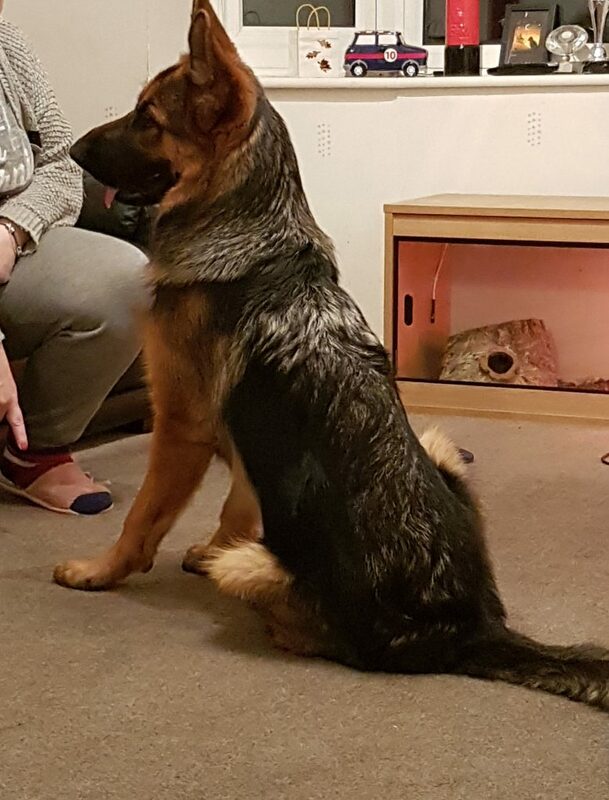 On balance this must be working very well as Tia is the perfect dog indoors with everyone – visiting young children included. However…. when she steps out through the front door and anything moves, Tia morphs into a lunging monster! She is ready to have a go at anything and the lady, slight in build, has trouble holding her back. She has been pulled over at least two times. I saw Tia’s transformation for myself. It was amazing to see how a dog who is so relaxed and friendly in the house could change to being so reactive outside, only a few feet from the front door. The only time Tia does go out of the front door is to go for a walk, so the whole walk process needs looking at. There is a lot of excitement from the moment the lady starts to get ready. She may then run the gauntlet of getting Tia to the car in order to take her to a playing field where the dog can be let off lead. There is no evidence that Tia is anything but friendly when running free. It seems that, as the behaviour starts immediately outside the house, to Tia this is where her territorial protection duty begins. She is pulling, lunging and barking at anything that may move whether it’s a bird, person, cat or dog. She’s fine with dogs elsewhere and they have a cat themselves. 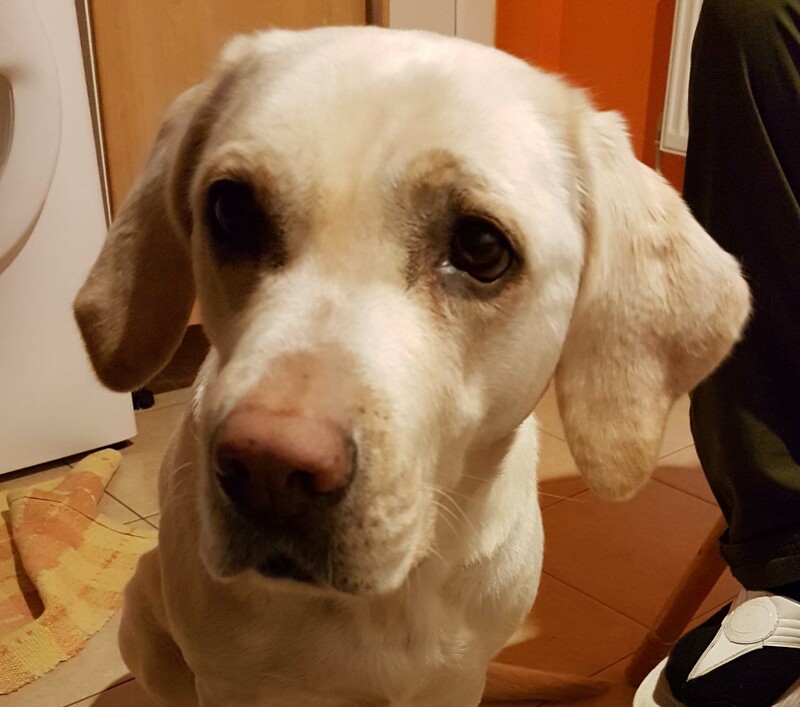 She welcomes people in the house – but not outside when she is on lead. The lady needs to show Tia, starting at home, that she can look after herself and make her own decisions. She herself describes Tia’s following her about as ‘ushering’ her and that probably says it all. The desensitisation process needs to be taken step by step, little by little. Every single element is to be worked on individually: The lady picking up her coat. Lifting the lead. Picking up her keys. Attaching the lead. She can vary the routine by putting on her outside clothes in different places and attaching the lead first. Next she’s to wait for calm at the door. Open the door – wait for calm again.Take a step out and wait for calm. Stand and look about, then go back in again. No longer will going out of the front door necessarily be a precursor to a walk. Advancing a step at a time, in very short sessions (whilst being ready to take action as specifically planned as soon as there is any reactivity from Tia) the next goal will be for her to see something a bit distant that is moving without instantly reacting so that the desensitisation/conter-conditioning process can begin. NB. 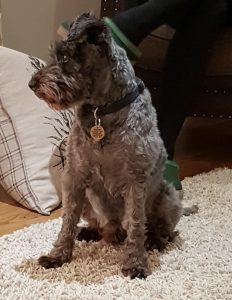 The precise protocols to best use for your own dog may be different to the approach I have worked out for Tia, which is why I don’t go into exact details here of our plan. Finding instructions on the internet that are not tailored to your own dogs can do more harm than good. One size does not fit all. If you live in my own area I would be very pleased to help with strategies specific to your own dog (see my Get Help page). 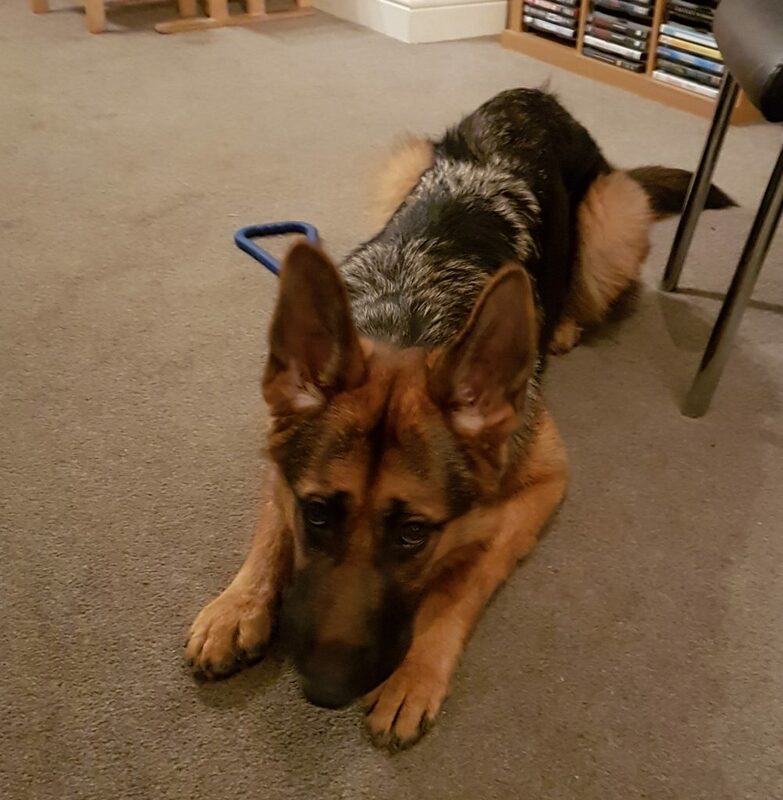 Two-year-old German Shepherd Fonz is a beautiful, friendly German Shepherd. His lady owner has worked very hard with him and is very much on his wavelength – that is until other dogs enter the equation. He left his litter and mother too young – at six weeks old, and had a couple of early bad encounters with other dogs that was not a good start. Before he was a year old the lady had a one-to-one trainer in to help her with walking him around other dogs. No improvement. Then, last summer, he was sent away for dog training for three whole weeks. They advocated a choke chain and old-fashioned training methods. All was OK while he was there – he had no choice – but when he came home and his lady walked him, there was no improvement at all – in fact, if anything, his recall was worse. This is proof to me that it’s not to do with the dog, it’s to do with the humans. What has been lacking all along has been an understanding of why he reacts so hysterically and violently to other dogs, and instead of forcing him to comply, looking at it from his point of view. He is scared. He is certainly not a naturally aggressive or territorial dog that wants to dominate. When there is a dog about he experiences discomfort as the collar is tightened around his neck, anxious vibes from the lady zip down the lead as she beats a hasty retreat, and loud scolding and jerking as he lunges if this is left too late. Surely the only way to conquer the fearful behaviour is to conquer his fears, and this has to be done slowly. It’s far too late for ‘socialising’. He needs to feel comfortable with the equipment used. The situation needs working at from whatever distance necessary for him not to feel threatened; his human, his owner, like a good parent or guide should be the one who teaches him confidence without pushing him beyond his threshold, without bullying, and to behave like the leader/parent she is with him in other respects. Avoiding dogs altogether for ever contains the situation but doesn’t advance it. ‘Training’ of various kinds hasn’t worked so there really is no choice but to have a totally different approach if Fonz is ever to be relaxed in the vicinity of other dogs. It will be a slow business requiring considerable patience and sensitivity which I know this lady has. Being sent away for dog training can make little difference when it’s the humans who need most of the training. NB. The precise protocols to best use for your own dog may be different to the approach I have worked out for Fonz, which is why I don’t go into all exact details here of our plan. Finding instructions on the internet or TV that are not tailored to your own dogs can do more harm than good. One size does not fit all. 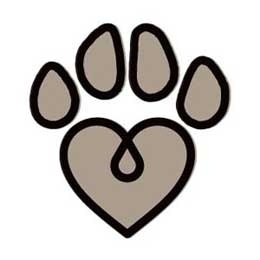 If you live in my own area I would be very pleased to help with strategies specific to your own dog (see my Get Help page).